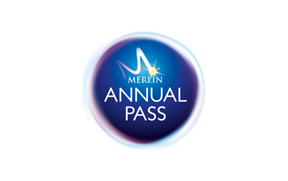 Do you offer a Merlin Annual Pass Gift Voucher? Where can I purchase a Merlin Annual Pass? What is my Home Attraction? I have not received my email confirmation after purchasing, what should I do? Can I pay for my Merlin Annual Pass in installments? Do I need to provide all Pass holder details when purchasing online/onsite? Can I upload photos of the pass holders when purchasing online? Do all family members need to be with me if purchasing the passes on site? Can I cancel my Merlin Annual Passes? When purchasing your Passes online you will be required to enter personal details for each pass holder including address, contact details and date of birth. The same will be required if you are purchasing your passes onsite at an attraction. Please make sure you have all these details available before your purchase. Do all family members need to be with me when collecting my passes?